Maleficent may be one of the most well-known Disney villains of all time, but the evil queen got a high-fashion makeover earlier this year with the release of the Angelina Jolie-fronted film "Maleficent." 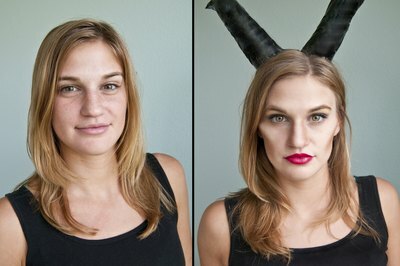 This Halloween, you can steal the star's devilishly seductive look for yourself by following this makeup tutorial from Bree Mohler, a special-effects makeup artist at American Haunts' Bennett's Curse in Jessup, Maryland. Apply Spirit Gum adhesive onto each cheekbone prosthetic. Let the adhesive dry for a few seconds until tacky to prevent the prosthetic from slipping on your face. Apply a prosthetic to each cheekbone, making sure all edges are smooth and unwrinkled. Let the prostheses dry for at least 2 minutes to ensure they will remain in place. Apply a layer of foundation over your entire face using the makeup wedges, taking special care to blend makeup over the edges of the prostheses. Use a contouring brush to sweep a dark stroke of taupe powder along the cheekbone, starting at the top of the cheekbone and finishing at the base. Repeat on the opposite side. 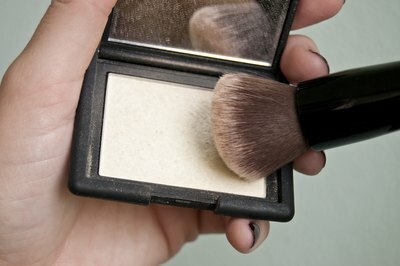 Use a small makeup brush to dust highlighting powder on top of each cheekbone. Contour each side of the nose using taupe powder to create a narrower, sharper look. 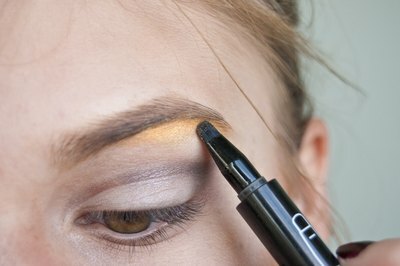 Fill in your eyebrows with a brow pencil or brow powder, creating a high, exaggerated arch on each eyebrow. Apply a light eye shadow over the entire eyelid using a smoky eye-shadow palette. Use a blending brush to apply a darker shadow in the crease of each eye, blending out toward the temple. Sweep yellow eye shadow along each brow bone. 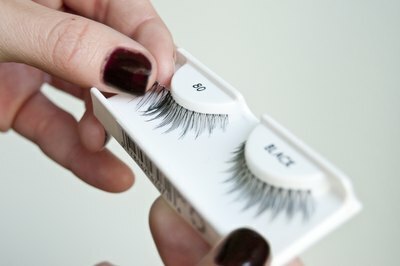 Line the top lash line with liquid eyeliner, making the line thicker at the end and slightly winged past the natural lash line. 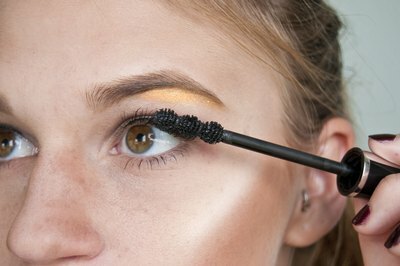 Apply two coats of black mascara to each eye. 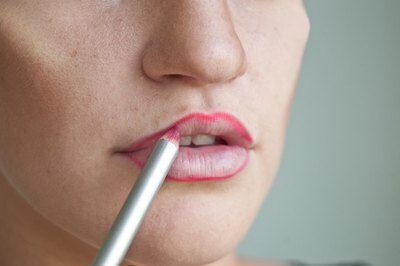 Line and fill in your lips using red lip liner. Apply a saturated coat of red lipstick. 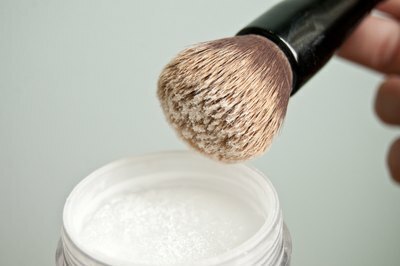 Use a face brush to apply a coat of translucent finishing powder to keep makeup in place.